Millennium Technologies is a Sri Lankan leading IT Solutions Provider, known for providing clients with advanced technological solutions up to the industrial standards. 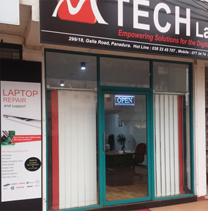 MTech offers state -of-the-art technologies including: Advanced chip-level repair for Laptops for any brand. Millennium Technologies Established in 2000, it became MTech Labs in 2014 and is 100% nationally owned. As an IT solution provider in early years, the company was from the first to support the clients through SKYPE as a free online support service and consultant. ©2014 Millennium Technologies. All Rights Reserved.